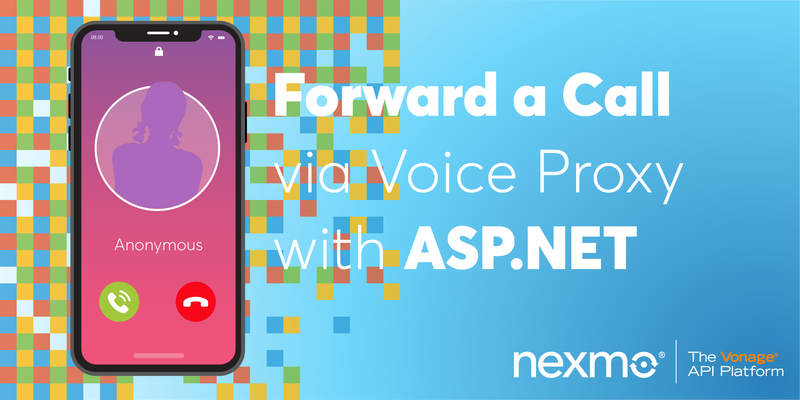 We developed Nexmo Call Control Objects (NCCOs) to provide developers with a flexible mechanism for controlling the flow of a Nexmo Voice API call. Developers use this handy JSON array to generate over 15 billion minutes of global voice traffic every year on our platform. 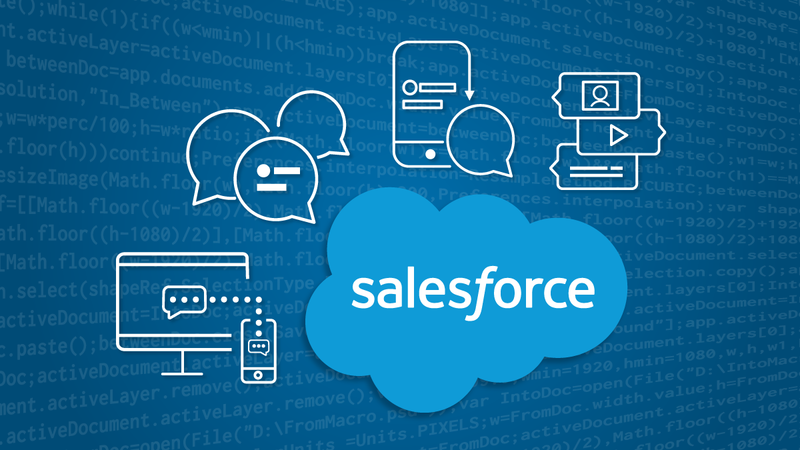 That’s why we’re thrilled to announce the release of Nexmo Voice Playground, a new tool that will make it even easier to work with NCCOs. 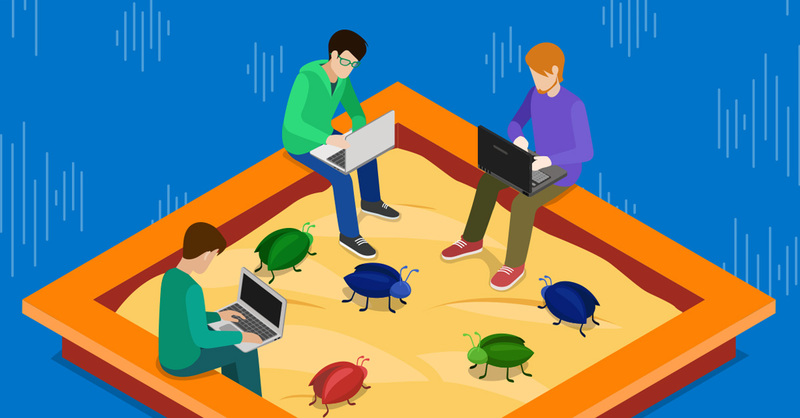 A new feature of the Nexmo Dashboard, Voice Playground provides a host of testing features that developers can use to debug their NCCOs on real calls. 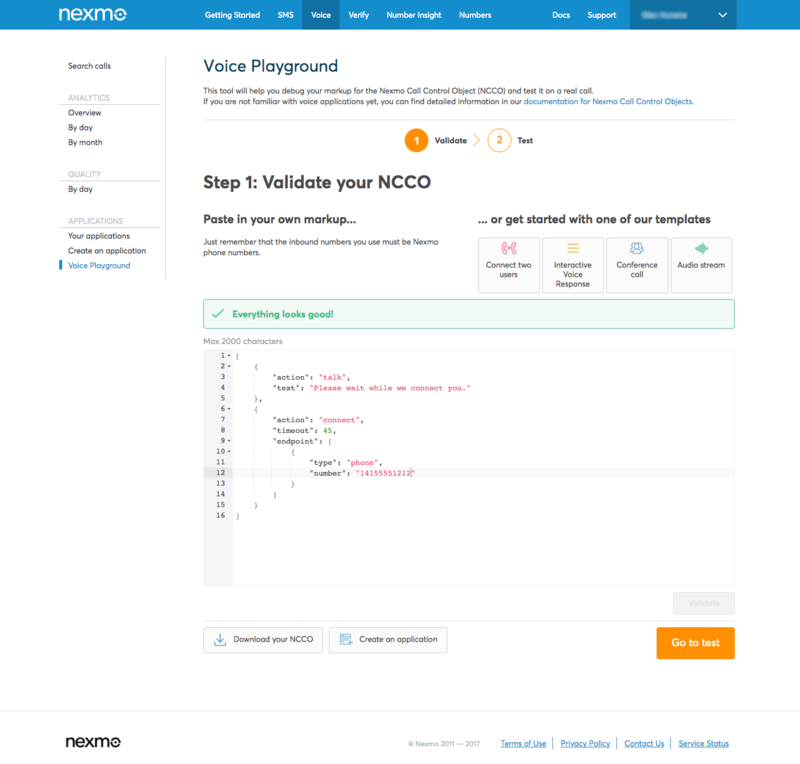 Whereas debugging in the past may have required a developer to manually toggle between their development environment and our NCCO documentation, Voice Playground provides an integrated testing tool within the Nexmo Dashboard. 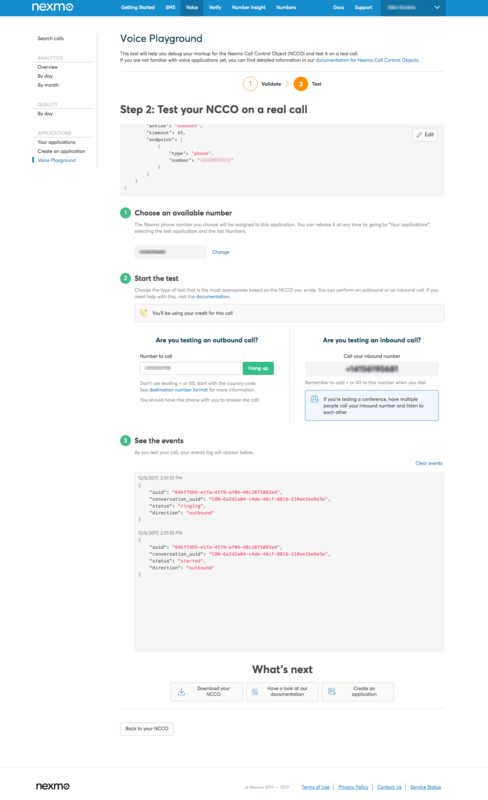 Voice Playground guides developers through a simple two-step testing flow, utilizing an intuitive interface that will be easy for any developer to follow. Step 1 is validation, where developers can enter the markup for an existing NCCO to see whether it contains any syntax errors. Even before processing the entered code, the syntax highlighting in the markup field can shine a light on formatting issues. Upon clicking the Validate button, Voice Playground validates every element against the NCCO schema and indicates whether the code is valid (“Everything looks good!”) or needs to be revised (“Something isn’t right”). The error message is accompanied by a list of the specific errors that were detected and the elements in which they occur. Was the value used for an action misspelled? Is an action missing a required property? Voice Playground will pinpoint the issue so it can be resolved quickly. Selecting a template will populate the validation field with generic markup for the corresponding NCCO. Developers can just update the markup with their own particular values and then validate the NCCO. When a NCCO has no errors it is automatically saved for 30 days. Unless the developer overwrites it, he or she can come back and continue working on it where they left off during that time. Here’s a screenshot of Voice Playground’s validation module. After validation is complete, it’s on to Step 2: testing. Voice Playground not only enables testing of an NCCO on a real call, but as the test runs it also displays the call’s event log in real time. 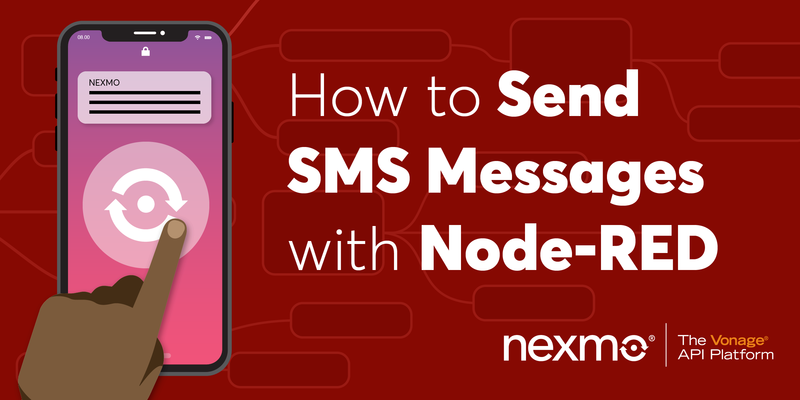 After assigning a purchased Nexmo number to the test application, a developer who has topped up their account can test either inbound or outbound calls with their validated NCCO. The testing module supports inbound and outbound voice use cases, including conference calling applications. Here’s a screenshot of Voice Playground’s testing module. Voice Playground is fully available to any developer who owns a Nexmo number and has made at least one payment. It is the latest feature release in our ongoing mission to shorten the time to deployment for our customers. If you haven’t already, give Voice Playground a try today. It’s pretty cool—if we do say so ourselves. 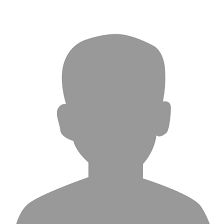 Alexandros is a Product Manager at Nexmo, the Vonage API Platform, responsible for the customer-facing Nexmo Dashboard and related services. In his free time, he enjoys the outdoors as well as traveling around the world.